Political parties across India are gearing up for the Lok Sabha Election, which is due sometime in April this year. Prime Minister Narendra Modi arrived in Thiruvananthapuram on Tuesday evening on a brief four-hour visit of Kerala, sounding the poll bugle in the state. Modi launched a scathing attack on the Left government in Kerala on the Sabarimala issue, saying that Communists do not respect India's culture and spirituality. Hitting out at the CPI(M)-led LDF and the Opposition, spearheaded by the UDF in the state, he said both the fronts were two sides of the same coin and accused them of neglecting people of the state. 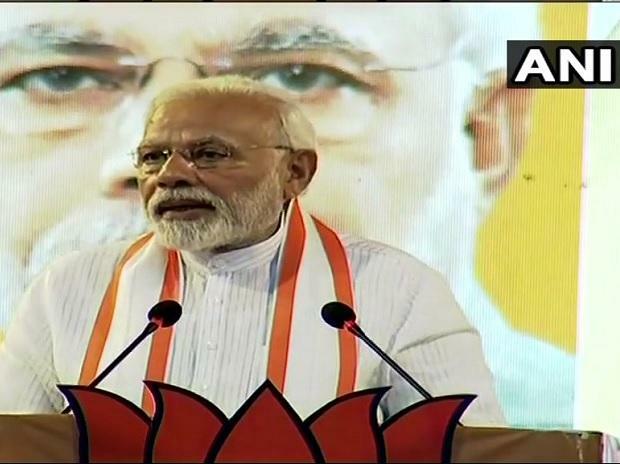 "We know that the Communists do not respect India's culture, history and spirituality," Modi said at a public meeting in Kollam. Earlier in the day, BSP supremo Mayawati spelt out her party's views on the political situation and the tie-up with Samajwadi Party on the occasion of her 63rd birthday. While addressing the media, she said, "My ideal birthday gift would be SP-BSP's victory in the upcoming Lok Sabha polls." Meanwhile, the Congress Core Group's meeting, which took place on Tuesday in New Delhi at 15, Gurdwara Rakabganj Road, had a detailed discussion on the preparedness for the coming Lok Sabha elections, among other political issues. Congress Core Group meet discusses Mission 2019, UP On Tuesday evening, the Congress Core Group's meeting began in New Delhi at 15, Gurdwara Rakabganj Road. (Read more here) 1) The meeting is likely to discuss among other things Mission 2019 Lok Sabha poll and the situation arising out of the SP-BSP alliance in Uttar Pradesh where 80 seats are at stake. 2) Sources told news agency ANI that the issues related to a possible alliance, poll strategy, and organisational structure will come up for discussion during the meeting. 3) "The discussion will also take place on how to strengthen the party at the booth level, galvanising the party cadres for the Lok Sabha polls, strategy for retaining the edge in the states where the party won recently held Assembly polls," they said. 4) Sources said the main focus of the meeting would be Uttar Pradesh, where the SP-BSP has ditched the Congress instead of forging a grand alliance with the grand old party. 5) "For the last four days, senior party leaders have been working out the plan for UP battle," sources added.